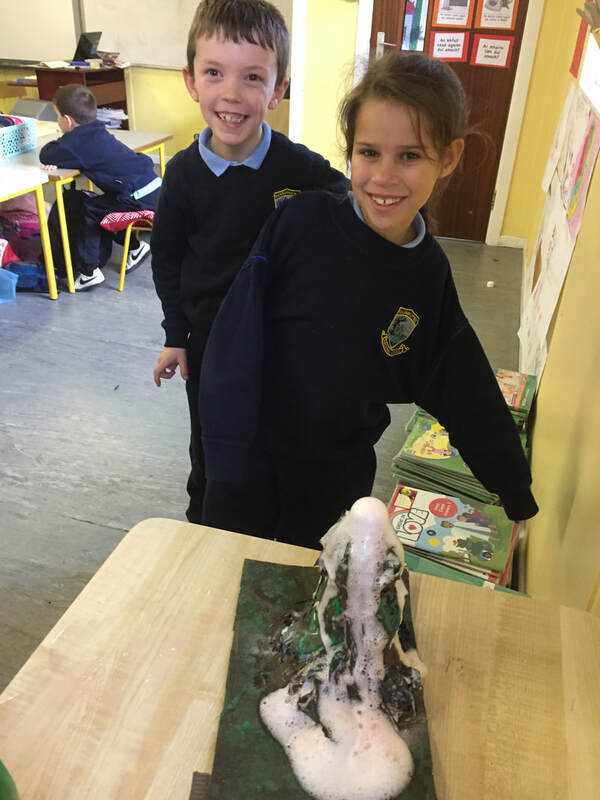 In Room 19 we asked lots of questions and explored lots of varieties of science! 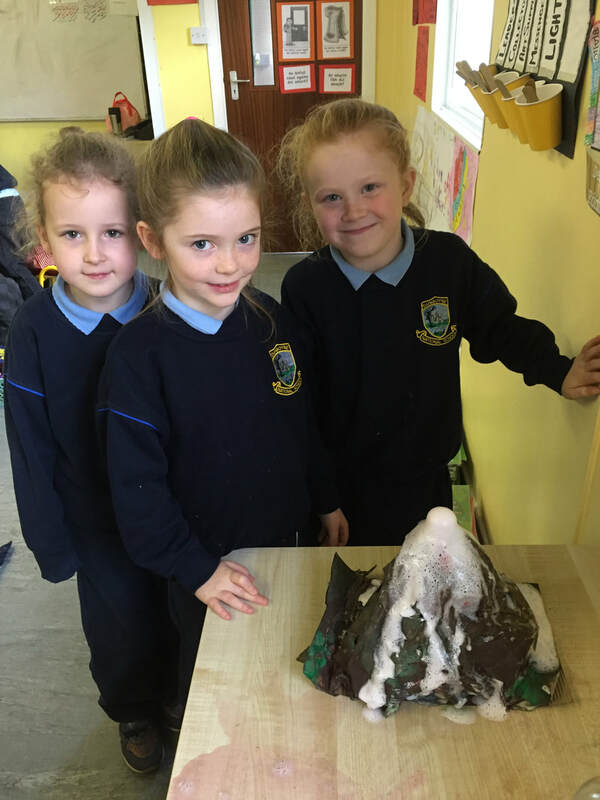 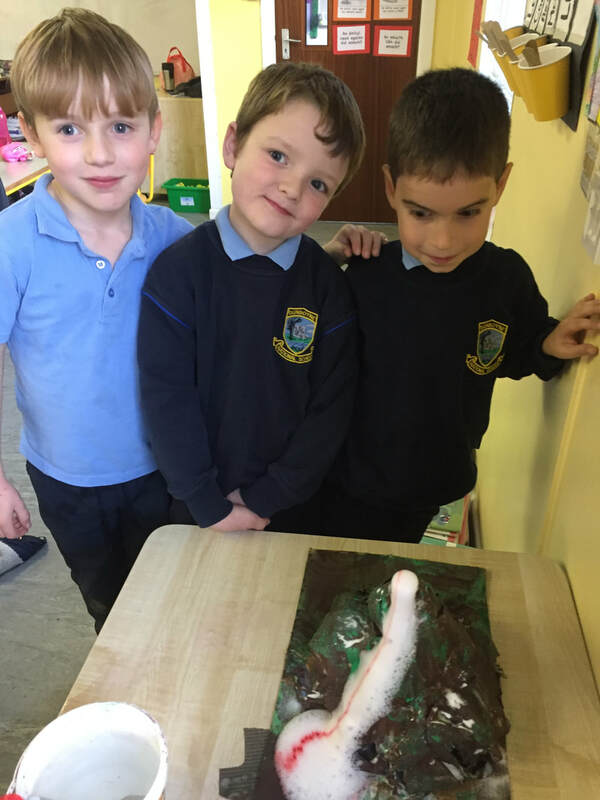 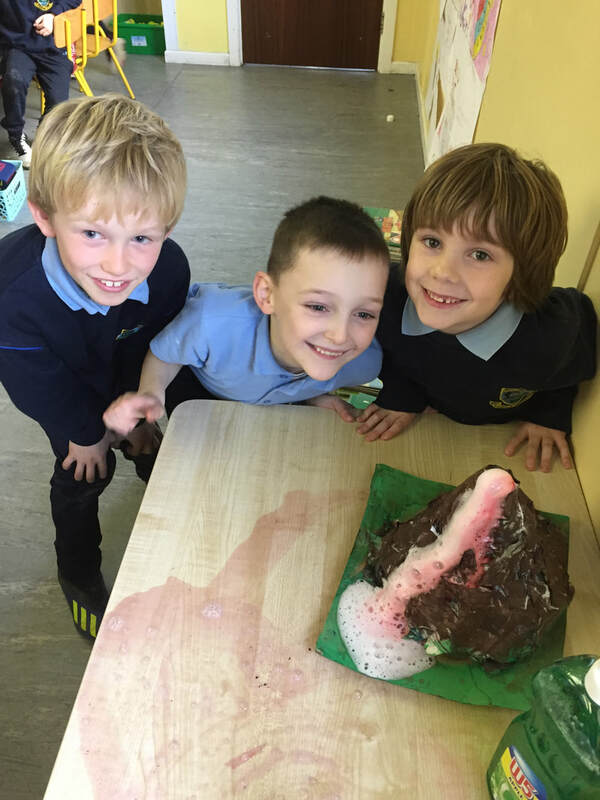 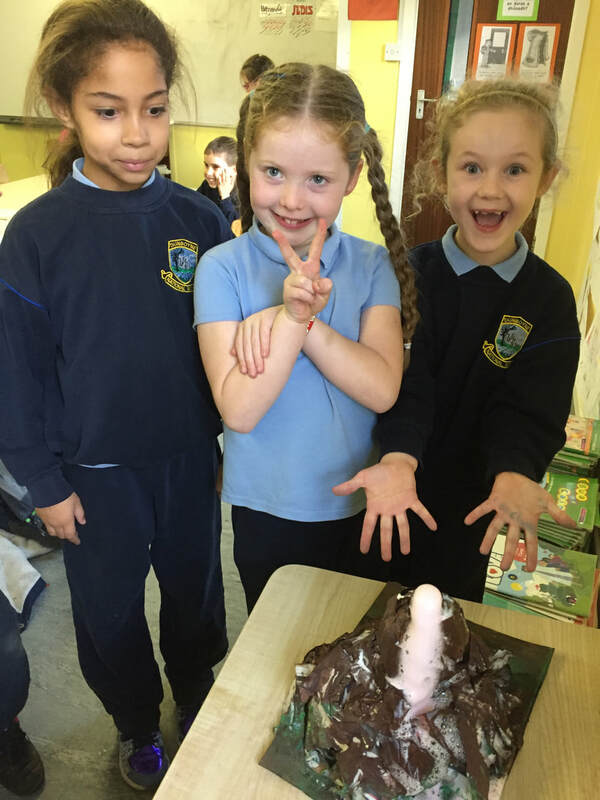 We made paper maché volcanos and watched them explode using baking soda and vinegar. 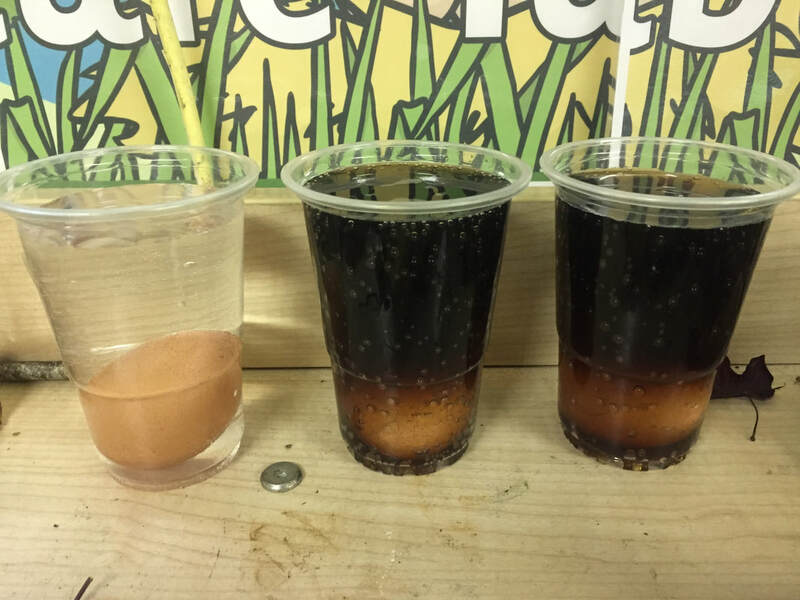 We explored the effect of coke, diet coke and water on the shell of an egg to show the effect of coke on teeth. 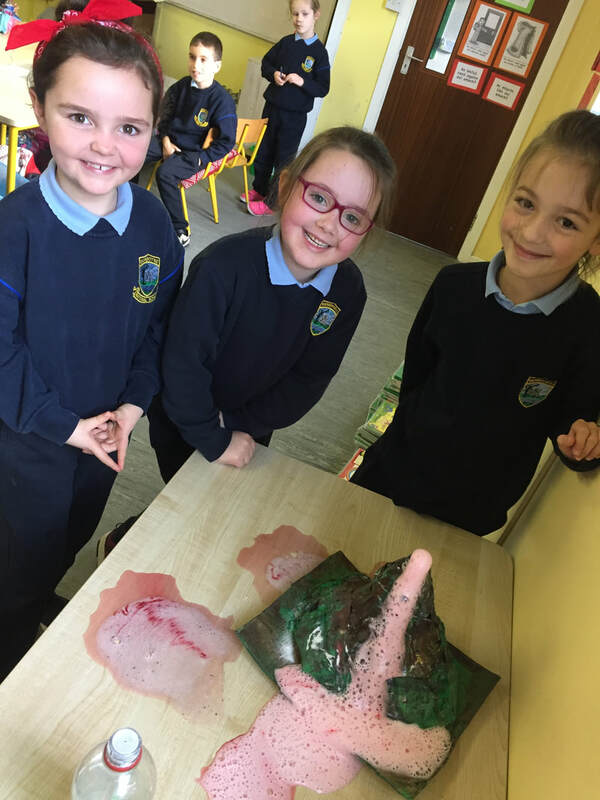 We grew cress seeds and learned that you need sun and water to make them grow. 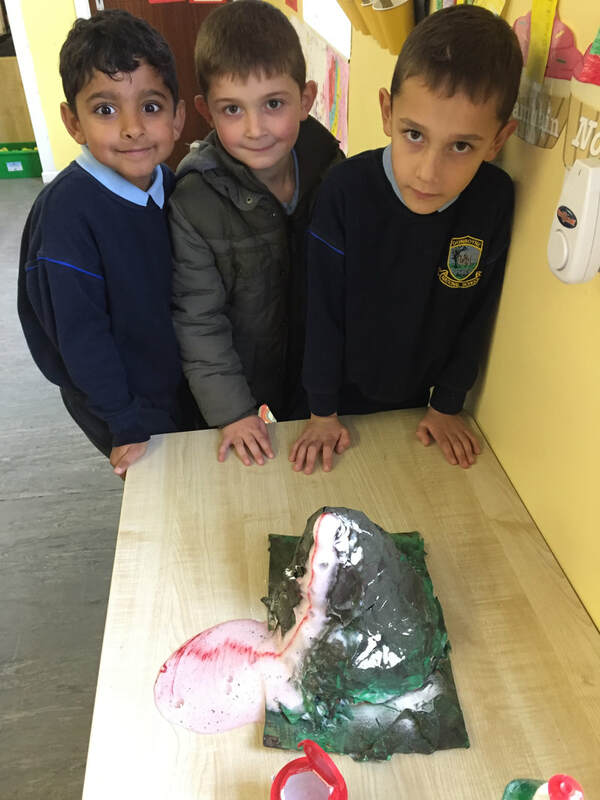 We had a look at a real car engine and learned about how it works! 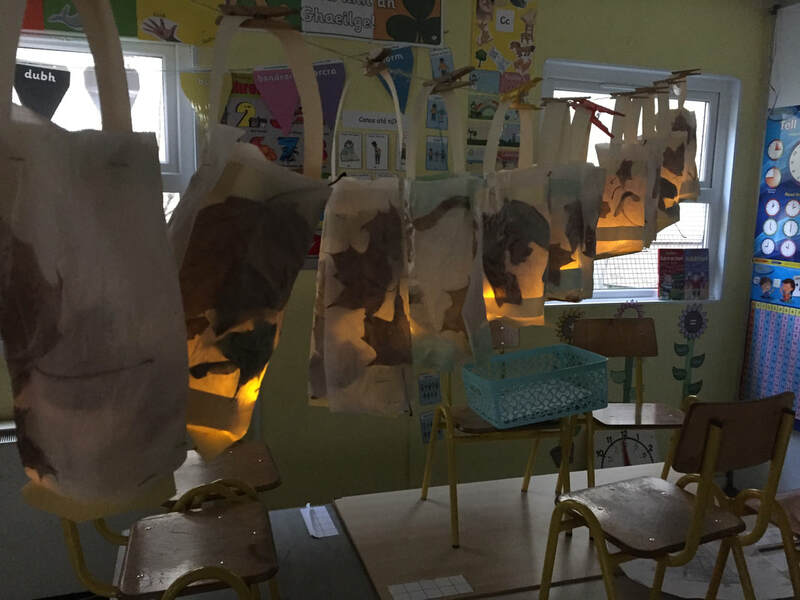 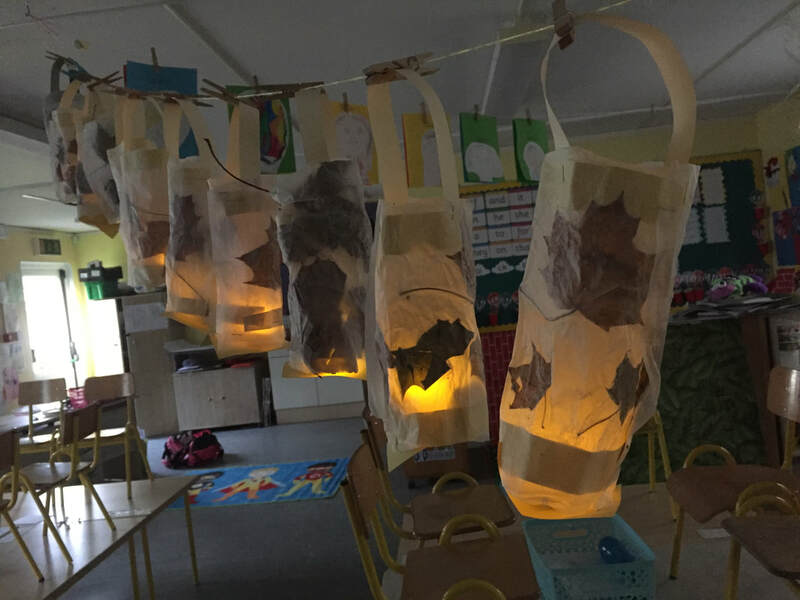 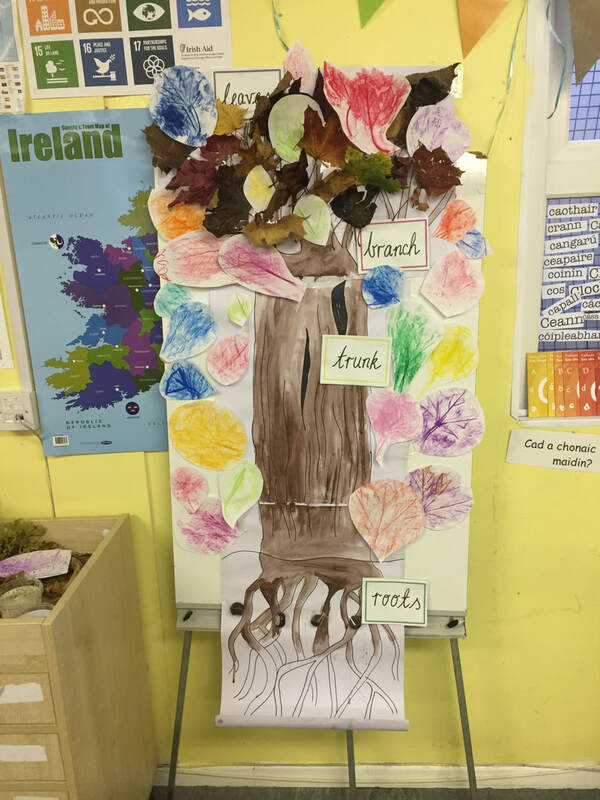 We had a great autumn and learned lots about autumn leaves and autumn trees! 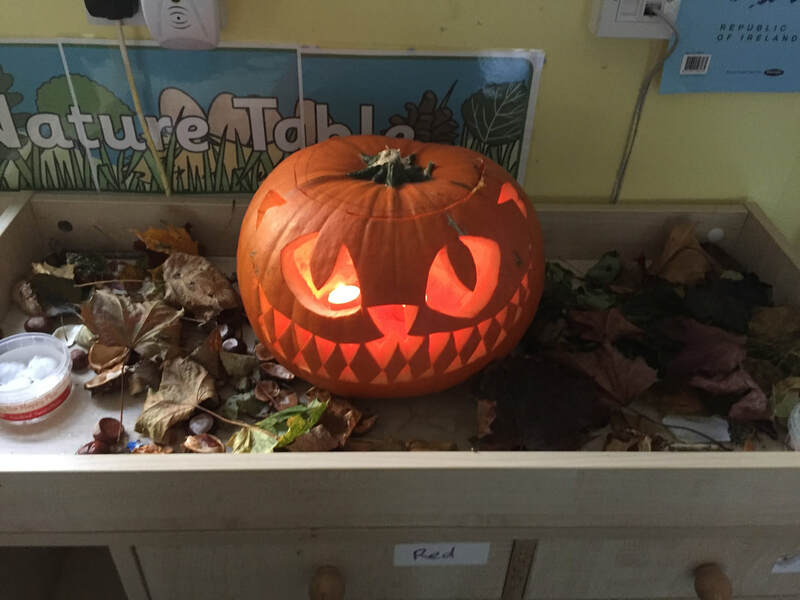 We made leaf rubbings, autumn lantern, and enjoyed lighting a spooky pumpkin!